June 20 2011 post. I’ve written about sea cucumbers before, see http://margaret.healthblogs.org/2010/12/06/more-on-sea-cucumbers/ and http://margaret.healthblogs.org/2009/10/15/sea-cucumbers-and-smoldering-myeloma/ So I knew there was a clinical trial testing TBL 12 on “high risk” asymptomatic myeloma patients. Here’s the link to the first trial: http://goo.gl/UGw7Q Some results were presented at the ASH 2010 meeting (see my “More on sea cucumbers” Dec 2010 post, above link). Mainly, a decrease in M-spike, which is hardly a shabby result, eh? The authors are wary both of chemoprevention trials for SMM folks (No kidding!!! Ma scherziamo???!!!) and what they call “bioactive food supplements”: curcumin, resveratrol and EGCG. Concerning the supplements, they say that many patients are taking them without definitive proof of efficacy or safety (my emphasis). But let’s get back to these interesting sea cucumber critters, which contain sphingolipids/glycosides that […] have also demonstrated antitumor properties including antiangiogenesis direct tumor cytotoxicity, and also of particular relevance to MM, the inhibition of osteoclastogenesis. Aha! Good stuff! Margaret, I’ve been taking 80 units of TBL 12 (4 cups a day) for 6 months and now have the results of the 6 month blood test. The Igg marker did go down some, which was great. But I’m curious what the doc will say Monday about the interleukin 6, which has always been around normal(0 to 5). It went up to 285….extraordinary. Don’t know what that means, but feeling terrific! Hello Barbara! V interesting. I´m curious to hear if you still take TBL-12 and if it´s working? As to the Interleukin 6 – what does an increase mean? I just ordered it TBL-12, and start taking it today. Any good results yet ??? I have been on TBL 12 (sea cucumber) for a year now and cannot tell you enough how much it has done for me. ALL my MM symptoms have disappeared. I have energy and feel great. I take 2 or 3 a day depending on my schedule at work etc. (yes I am even working again – 2 days a week – teaching little kids and you know how much energy that takes). I did not get on the trial at NYU or Mt. Sinai as they were only allowing newly diagnosed patients at the time but I am doing Velcade along with the sea cucumber and have no neuropathy or any side effects from the velcade. I am so grateful I found it! Hi Christine, I am very curious about ur Velcade regimen. I’m over 65 and my Drs ran across a Scandanavian research study that resulted in them recommending subcutaneous injections of Velcade, smaller amount than the IV doses usually given. One injection a week for 8 weeks. Over the last 3 yrs I’ve had 4 sets of this treatment. There were breaks of 4mos. To a year between treatments. Protein levels came down, hemoglobin went up, basically both were close to normal. However, symptoms do return. I didn’t want to have ongoing Velcade injections because of some side effects, but it’s the only treatment besides Rituxen that I feel comfortable with. I’ve been considering the German clinics too. Thanx for any info or suggestions you might provide. Where do you buy your TBL 12 and what dose are you taking. Tried to send you an answer but for some unknown reason it has been waiting moderation forever. This is my second try. Marlena is the person you want to talk to and her email is ashenna@aol.com. I take 2 to 3 a day and continue to feel fab. Good luck and let me know if you need anymore info. Marlena,please, can you tell me where can I buy TBL 12? My e-mail is yuriyvern@yahoo.com.Thank you in advance. I’m interested in knowing if anyone else is seeing results and if those they did are continuing to see positive results! I saw significant positive improvements in all of my markers after taking 4 a day as they did in the clinical trials for 26 days. I am also following a fairly strict ketogenic diet. After only 26 days, my m-spike fell (this is good) by 26%, my lambdas fell 12% and my kappas increased over 450%. I have lambda light chain, thus excessive lambdas and at one time no trace of kappas. My kappas are now in the normal range. I saw similar results when I was on velcade, revlimid, and dexamethasone. However have not been on any of these or any myeloma drugs as I experienced severe side effects. I have had no side effects with the TBL-12 thus far. I have now been on the TBL-12 for about 45 days, and will have labs drawn again in about another 4 weeks. Hi my mother has cancer and i have herd so very much about TBL 12. Is there a supplier in Melbourne or Australia. i have been on the TBL12 Website and they state that Samantha Richardson is thew distributor in Melbourne. When doing a search on her i was unable to find much at all. i have tried to touch base with them but have received no reply. I am in the exact same situation as you. Is anyone currently receiving tbl-12 by ordering through the official website? I want desperately to order it for my father but am struggling to spend $770 when I have not received any form of communication from them after many attempts. Please email me if you have any info, advice or verify that they are receiving the supplements after placing an online order. 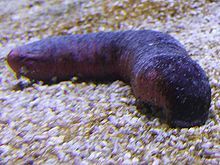 My husband has just started the TBL12 regimen,However, it is quite expensive,Would someone please comment on weather the sea cucumber capsules from New Zealand are just as effective as the jell substance? Hi. My mom has been on TBL-12 for about a year now. Prior to, I spoke a few times extensively with Sam Grant, the owner / founder of TBL-12. There is some interesting research that supports about 1/3 of myeloma patients seem to find some significant impact on the mspike etc. For my mom, it hasn’t been the end all solution, but we do believe it has significantly reduced side effects from chemo / immunomodulatory protocols. My mom has had radiation and been on about 5 protocols over the past year without significant side effects. As far as I know, TBL-12 is proprietary, so I wouldn’t necessarily think that substituting sea cucumber for TBL-12 would be equally effective. Definitely expensive though. I’m also in touch with one other myeloma patient who has been on TBL-12 for a similar amount of time and continues to take it. I continue to take TBL-12 and have for about 18 months. No new myeloma tumors or lesions. I took velcade for about 6 months last year as I broke my arm due to old myeloma damage, right after starting TBL-12, wished I had found it sooner! Continued to take TBL-12 while on velcade. No side effects from the velcade and my results were so good that I did not have to take Revlimid or Dexamethasone. TBL-12 has been given an orphan drug status for the treatment of myeloma by the US FDA. It also has been patented. TBL-12 was effective in the clinical trials in conjunction with velcade and also as a stand alone treatment. Other brands of sea cucumber/sea urchins have not. I’m grateful to have found it and so far so good! I also take Wobenzym N 30 a day, Peak Immune 4 (12 a day) and Beta Glucan 3 (2 a day). And I follow a fairly strict ketogenic diet. I’ve tried a lot of things. However, have personally found the most significant positive changes with this current protocol. Best of luck all! Margaret thank you for this blog!! Any news about this sea cucumber. I have prostate cancer and need to know if it is effective on this cancer. I am just starting to take TBL 12 for my multiple myeloma. I am struggling with a terrible taste in my mouth from it, slimy and fishy. Has anyone figured out a good way to take it to prevent nausea and bad taste? For those of you who are taking Velcade with the TBL 12, do you think it helps with side effects? Right now, despite escalation of all my markers, I am still not on any pharmaceuticals, but I’m considering Velcade.